When we first met, we discovered that we both did tacos the same way: sauteed ground beef, a packet of seasoning, and various toppings, including shredded cheese, diced tomatoes, lettuce, and onion, on a soft flour tortilla. Over the years we started introducing variations on this: shredded beef instead of ground, new toppings including cilantro and jalapenos, even grinding our meat ourselves. 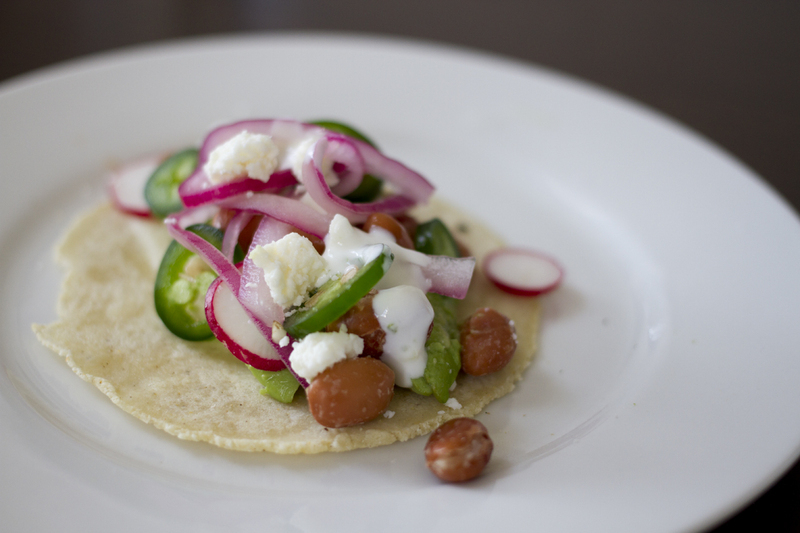 But this past summer Bon Appetit had a taco issue that changed the way we do tacos entirely. Gone is the ground beef and packet from the grocery store. Toppings have been changed out. We make our own shells from scratch. We always pickle onions. And it’s so, so good. You should make this immediately. 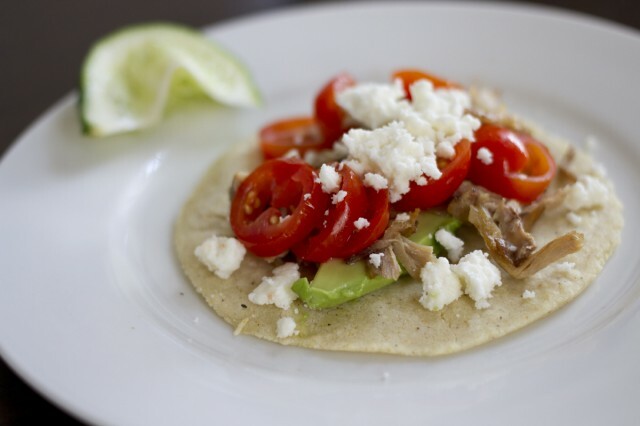 We slow-cook pork shoulder to make carnitas, but you could shred a roasted chicken or go vegetarian with beans—we often add beans, too. To save time, one of you (Jason) makes the shells and heats the meat while the other (Erin) dices all the toppings. Set everything out and build your tacos! Mix and match the toppings as you please—in truth, sometimes the shells are just too small to accommodate all the toppings all at once. Erin’s tacos always get stuffed with fresh jalapenos (never spicy enough) and finished with some lime crema, while Jason’s always have fresh tomatoes and plenty of queso. Rub the trimmed pork shoulder with the onion and garlic powder and place in a slow cooker. Pour the bottle of beer over, put on the lid, and cook on low for 8-11 hours. Drain the meat and shred roughly. Either eat immediately or saute briefly in a pan with a small amount of oil until crispy. Add salt to taste (we rarely add salt, and never miss it). This makes a TON of meat, so you’ll have leftovers for ages (or have a big party!). Reheat in a pan with oil. 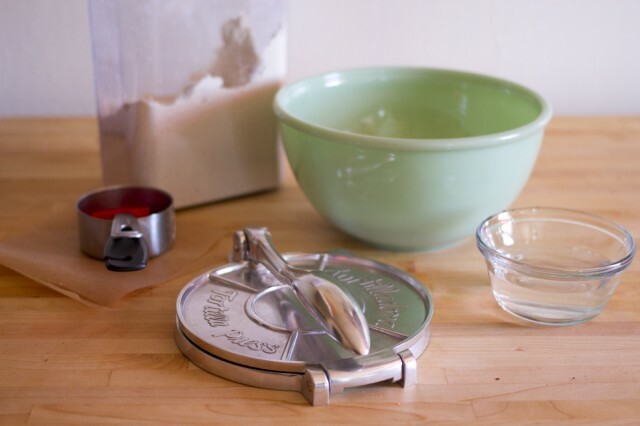 Combine the salt, sugar, and vinegar in a shallow bowl until the salt and sugar are dissolved. Add the onions and toss to combine. 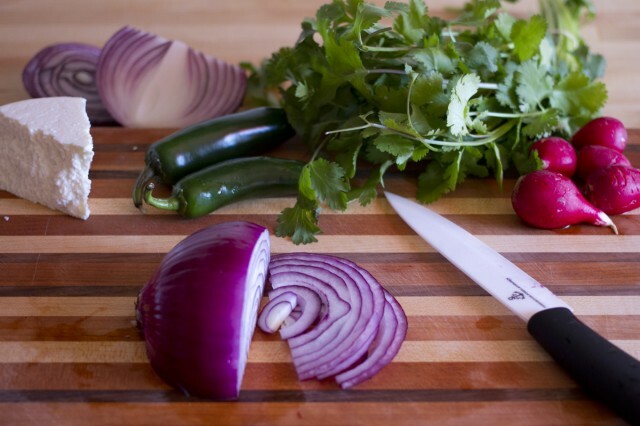 Add cold water to cover the onions. Let sit about 20 minutes or more (while you prep everything else). Combine all ingredients in a bowl until a ball forms. It should have the consistency of Play-Doh; add more masa or water as needed to get the right not-too-wet, not-too-dry quality. 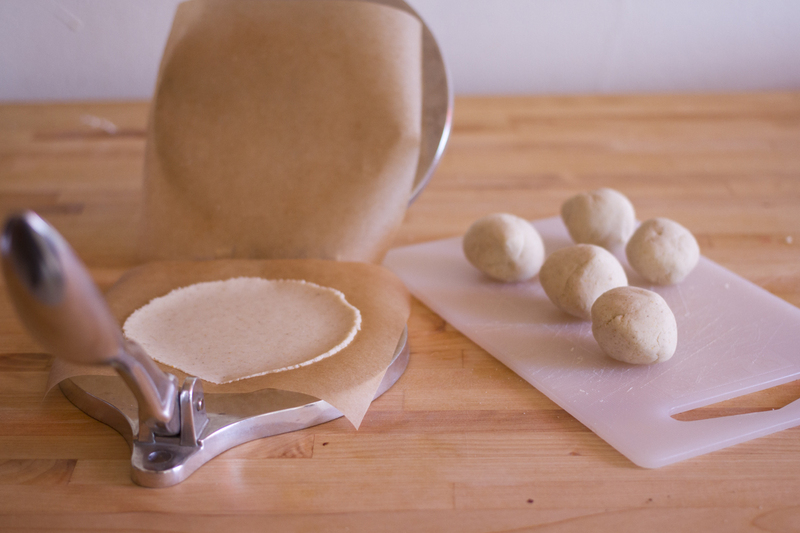 Roll into golf ball sized balls and use a tortilla press lined with parchment paper (or a cut plastic bag) to press into tortillas. Meanwhile, heat a griddle over medium-low heat and brush lightly with oil. Place the shells onto the hot pan; flip when the edges curl. 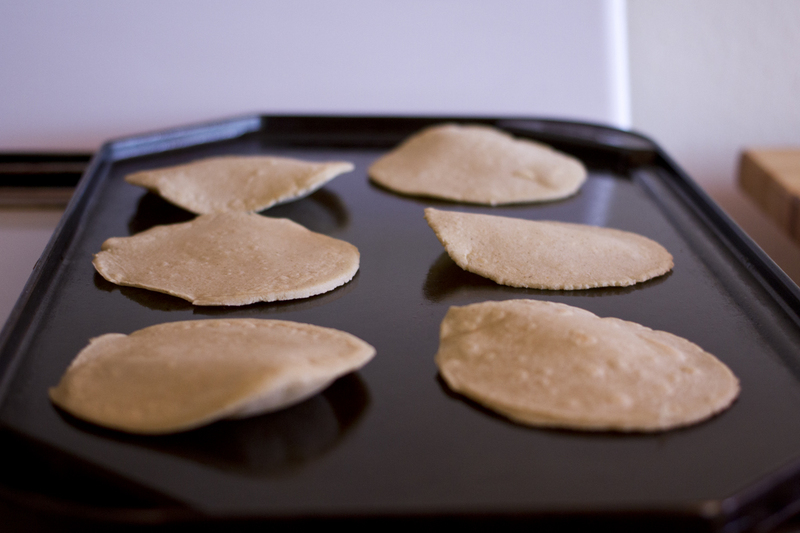 The tortillas should be warm and still malleable—we love when they puff up! Transfer to a plate. Yum! 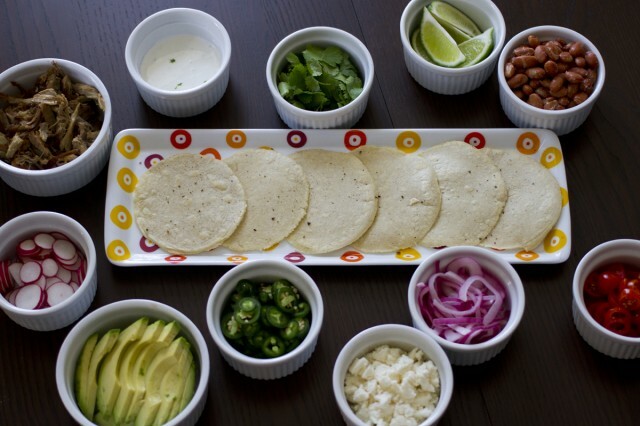 We need to up our taco game b/c it is quite lame. Yum!!! I had my first ‘real’ taco in Houston on a business trip right before Stampede in 2011. Since then, I’ve been obsessed with them. Really obsessed. 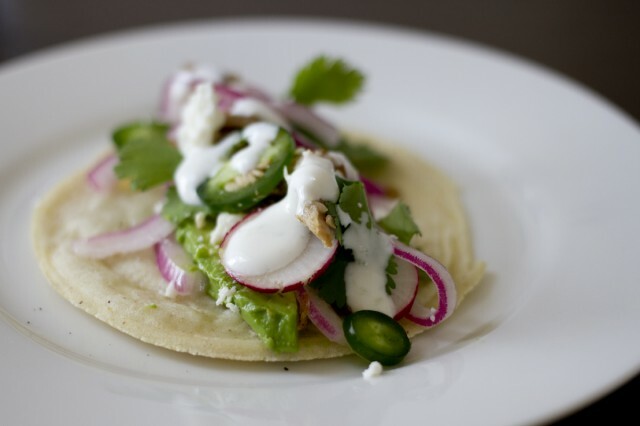 Calgary really, really, really doesn’t have an authentic taco. Think: those hard shells that come in a box with that package of seasoning? Yeah. THAT. There’s a Mexican supermarket that sells fresh made corn tortillas (heated up in a pan with a bit of oil = BEST THING EVER) and they’ve been giving me an education in the art of taco.